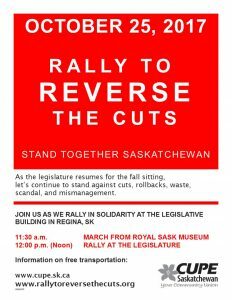 Rally at the Legislature on October 25, 2017. As the legislature resumes for the fall sitting, let’s continue to stand against cuts, rollbacks, waste, scandal and mismanagement. 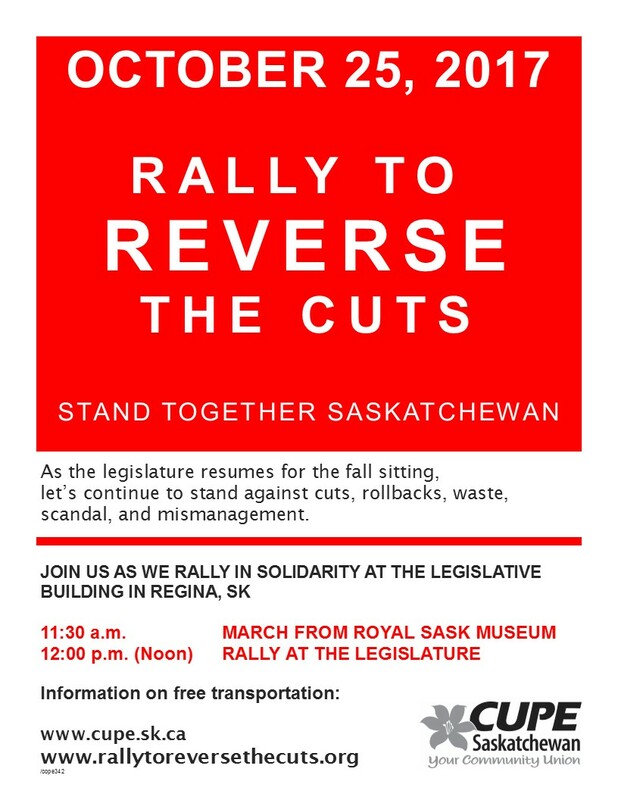 Join us as we rally in solidarity with other unions and concerned residents of Saskatchewan. ALL BUSES LEAVING DEPARTURE LOCATION AT 11:15 AM. BUSES WILL TRANSPORT PASSENGERS TO THE LEGISLATIVE BUILDING AND RETURN PASSENGERS TO THEIR ORIGINAL LOCATIONS. Planning to ride the bus?